What's The News In Watford City? According to the latest census data for the U.S. Census Bureau, McKenzie County is the fastest-growing county in the nation of counties of less than 10,000 people. From 2013 to 2014, McKenzie County’s population increased 18.3 percent from 9,297 to 10,996 residents. That one-year increase of 1,669 residents continues the county’s upward trend in population that began with the development of the oil and gas industry in the county almost six years ago. But according to Brent Sanford, Watford City mayor, the new estimates are too low. “The new census numbers don’t seem adequate,” states Sanford. “But we know they have a hard time accounting for the people living in RVs.” Which is why Sanford says that it is important for the city of Watford City to keep focusing its strategies toward being able to provide enough permanent housing units to those who want to live here permanently. “Hopefully, we will have that permanent housing in time for the 2020 U.S. Census,” states Sanford. In 2010, McKenzie County had a population of 6,360 and has had a steady growth since then based on U.S. Census Bureau estimates. In 2011, the county’s population was estimated to be 7,012, and had increased to 7,965 by 2012. The rush of new residents to North Dakota’s oil field has also resulted in two North Dakota micro areas ranked as the nation’s fastest growing with a population of at least 10,000, but less than 50,000. The Williston micro area (Williams County) was ranked first, as the fastest-growing county in the nation with 8.7 percent growth or 2,567 new residents and the Dickinson micro area (Stark County) was ranked second as the nation’s fastest growing with seven percent growth or 1,995 new residents in the past year. The report also showed that the Bismarck metropolitan statistical area (MSA) was ranked as the 22nd fastest growing metro area. The Bismarck MSA is estimated to have grown by 2.1 percent or 2,604 additional residents in the past year. The Fargo area grew at two percent or 4,438 residents. A metro area contains a population of 50,000 or more, while a micro area contains at least 10,000, but less than 50,000. 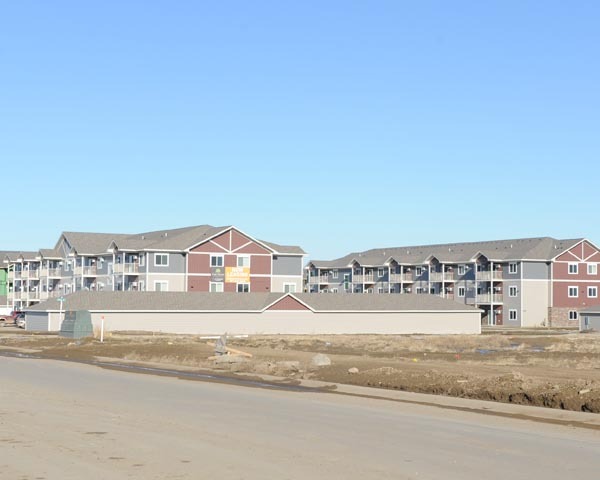 So far this decade North Dakota’s population has grown by 9.9 percent since the 2010 Census. That is more than any other state. For the most recent year of data, from 2013 to 2014, the state grew 2.2 percent. As recently as 2007, North Dakota had been experiencing a net out-migration. © 2019 McKenzie County - All Rights Reserved.